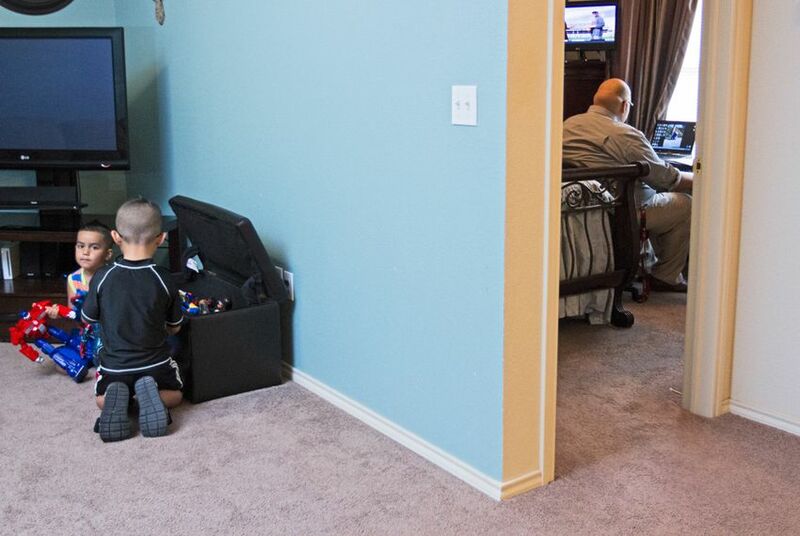 The oil boom has brought jobs and prosperity to Midland and Odessa, but it has also driven up housing prices, making it difficult for the Department of Family and Protective Services to hire caseworkers. Since moving to Odessa in September to work as a state Child Protective Services investigator, Juan Carlos Pacheco has bounced among three homes, struggling to find a place he could afford. At one point, he shared a one-bedroom apartment with six people. 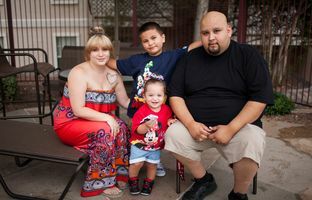 “It was a situation kind of like a sardine can,” said Pacheco, 29, who now rents a room in the house of a family of four. His wife, 1-year-old daughter and 5-year-old son live in El Paso. The oil boom that has brought jobs and prosperity to Midland and Odessa has driven up housing prices, making it difficult for the Texas Department of Family and Protective Services to hire caseworkers at a time when the agency is under pressure to fill jobs following the high-profile deaths of two foster children. Midland had the nation’s highest increase in median home value after the recession, according to a NerdWallet study last month that examined census data from 2009 to 2012 for 510 cities. The median home price in the Midland metro area last month was $283,100 — the highest in Texas, according to the Real Estate Center at Texas A&M University. The department has tried to fill vacancies by temporarily sending workers from elsewhere in the state to the Midland and Odessa area; offering new caseworkers $5,000 signing bonuses, a practice since discontinued; and giving all 153 workers in the area $500-a-month housing supplements. A typical rate for a one-bedroom apartment in Midland is $1,100 a month, Mayor Jerry Morales said recently. With the housing supplement, Pacheco’s annual pay is about $49,000. Juan Carlos Pacheco with wife, Jessica; son, Victor; and daughter, Xochitl, outside their apartment on Sunday in El Paso. 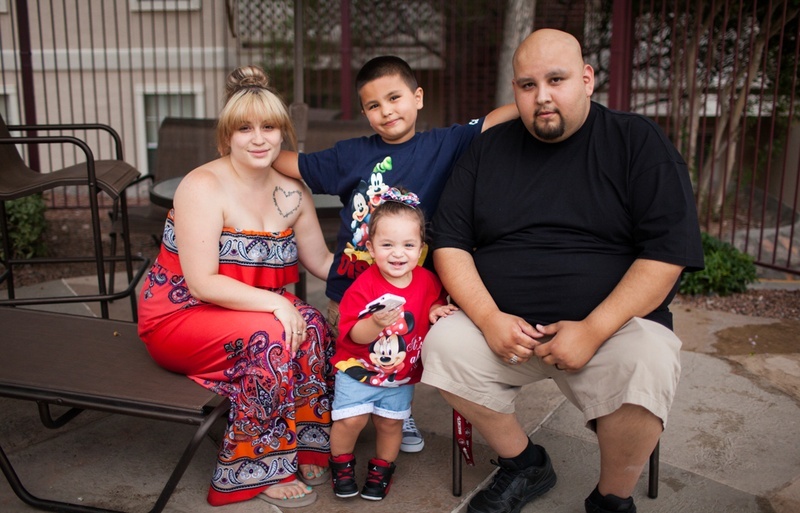 Pacheco rents a room in Odessa, where he works for Child Protective Services, and travels regularly to El Paso to visit his family. But Specia said the housing supplements had not “stemmed the tide” of workers leaving. Because of the nature of the work — the agency has 24 hours to investigate urgent reports that a child faces harm — “we don’t have the luxury of teleworking,” he said. When Camille Gilliam became the department’s regional director a year and a half ago, there were so many vacancies that 200 children did not have caseworkers, she said. Bringing in reinforcements has helped, and she tells new hires that they are “doing God’s work.” But employees continue to resign or transfer. One employee, Gilliam said, recently transferred to Houston to escape her Odessa home: a trailer with electrical problems and no running water. Another is staying in the area in a better-paying job, as a manager for Domino’s Pizza. Of 18 investigator jobs in Ector County, including Odessa, seven were vacant; five were filled by new hires; and six were held by workers who had been on the job for at least a year, Gilliam said. She said more money could solve the turnover problem. But state Rep. Richard Peña Raymond, chairman of the House Human Services Committee, said raises might not help. Still, the state is responsible for 16,700 children in foster care and 10,000 being cared for by relatives. Among them were two Austin-area girls, Alexandria Hill, 2, and Orion Hamilton, 11 months, who died last year from head injuries that led to murder charges for adults in their foster homes. Those deaths increased scrutiny on the department, which is using an infusion of money from the Legislature to hire more caseworkers statewide. Pacheco said his position in Odessa was an opportunity he would not have had in El Paso, where he found stiff competition for such work. His wife hopes to join him soon, he said. Their goal is to buy a house in Odessa.